1. 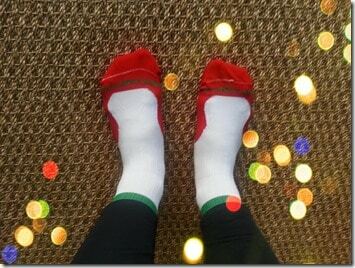 Get your PRO Compression holiday socks on sale now with code SNOW – 40% off the regular price. That’s the cheapest you’re gonna find so get ‘em now. And this is the first year the holiday print is available in a calf sleeve as well. I’m wearing mine for a holiday race this weekend. Or get a pair for your friend who has everything. 2. I was sent the ebook My Best Race to check out. It’s only $5.99 so if you have a runner on your Christmas list, get them some PRO socks and this book, boom, you’re done with your shopping. 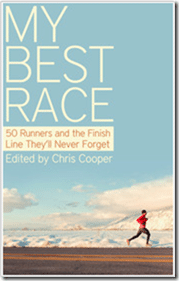 The book is compiled of 50 short stories of runners’ best races: many are famous athletes, Olympic record holders and some are just regular people like you and I. It’s a fast fun read (who doesn’t like to tell and hear about that one magical race once upon a time?) but what I really liked is that every story isn’t just a PR story; sometimes the best race is a high school race where confidence was built instead of an Olympic medal race. Anyways, you can read an interview with the author here and check out the book here. 3. If you’re looking for ways to avoid the holiday bulge, Monica is hosting a 25 Days of Fitness Challenge and there’s also the Runner’s World Holiday Run Streak going on. If you’re late to the party, I’m sure you can still join in. Me, I’m embracing the bulge and challenging myself to gain as much as possible. The only thing I’m streaking is my underwear. 4. 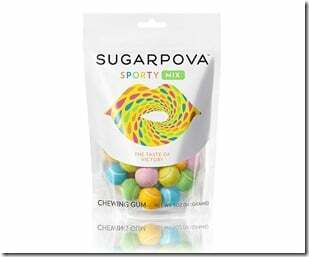 All I want in life is to own my own candy line like Maria Sharapova’s Sugarpova. So jelly. 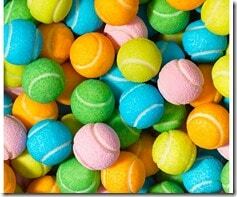 I could make the Running Mix with running shoe sweet ‘n sours, track taffies, and Garmin gummies. *If you’re in Southern California, check out RacePlace. *If you’re in the Pacific Northwest, check RaceCenter. *MarathonGuide is a favorite for all marathons across the country. *HalfMarathons is great for the 13.1 event calendar. 6. I’m obsessed with a lot of the Heidi Klum for New Balance line and want these sweats and these capris. They’re both a little different and a little funky. 7. This article entitled Why Eat Healthy? by Tony Horton was kind of interesting. Seems like it’d be a bit easier to eat healthy when your motivation is something deeper than “Fit in my skinny jeans!” Not that mine is or anything, just saying. Personally, my Purpose for eating right is to get the most out of fitness that I possibly can. It’s the knowledge that without a great diet, exercise alone doesn’t work. Food is my way of allowing my body to do what it does physically and recover properly. This is my 6th day of being sick (super runny nose, cough, sore throat, losing my voice, can’t sleep well) and I’ve put down two bottles of Dayquil/Nyquil already but they don’t seem to help at all. What do I take to magically get better fast?? And don’t go Breaking Bad style on me.